Video is so important in today's digital world. If you use video as a media in your marketing plan, please be sure to research the best practice methods for success. 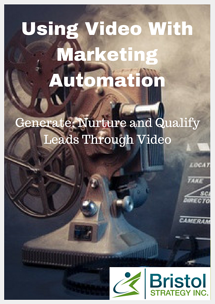 With this ebook, you will learn how to effectively gain more (conversion of website visitors into contacts in your marketing automation database) leads by effectively using video with your marketing automation platform. This eBook includes analysis from thousands of users of the Wistia video hosting platform with tips on how to increase engagement and conversions.